“Only the Educated are free” truly embodies all that we stand for. 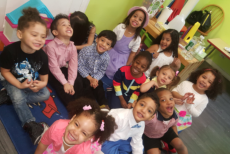 To that end, Arcadia Children’s Daycare‘s mission is to provide children of the Bronx and their families with the opportunity to develop their social, creative, and academic skills so that they may become lifelong learners and responsible citizens who are free to make educated choices and decision in their lives. Success will be shown by self-esteem, measurable academic growth, and responsible actions. We focus on each child as an individual, with unique needs and readiness skills for learning. 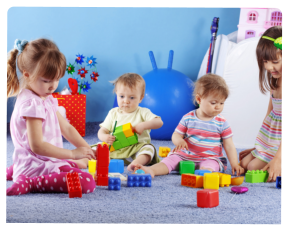 Our philosophy is to provide children with a developmentally appropriate environment that supports children’s social, emotional, physical and intellectual growth. We believe a child’s early experiences enrich and stimulate future growth. Children deserve to be treated and respected as individuals in an environment that welcomes reasoning, exploration, questioning, and imagination. We respect each child’s need for love, security, acceptance, warmth, and stimulation. We would like children to develop a positive self-concept and attitude toward learning, in addition to developing intellectual habits which prepares them to be lifelong learners. It is essential that these children develop critical thinking, self-correcting, and reasoning and problem solving skills, which will help them in their future education. Most importantly, we hope that the children leave preschool with a sense of respect for and a positive relationship with others. Enhancing each child’s emerging language and math skills and encouraging each child’s observation of people and the world.